In the heart of Sardinia, there is a place of culture that tells us about thousands of years of history and traditions and centuries of festivities and rituals, shared by various ancient civilizations in the Mediterranean. 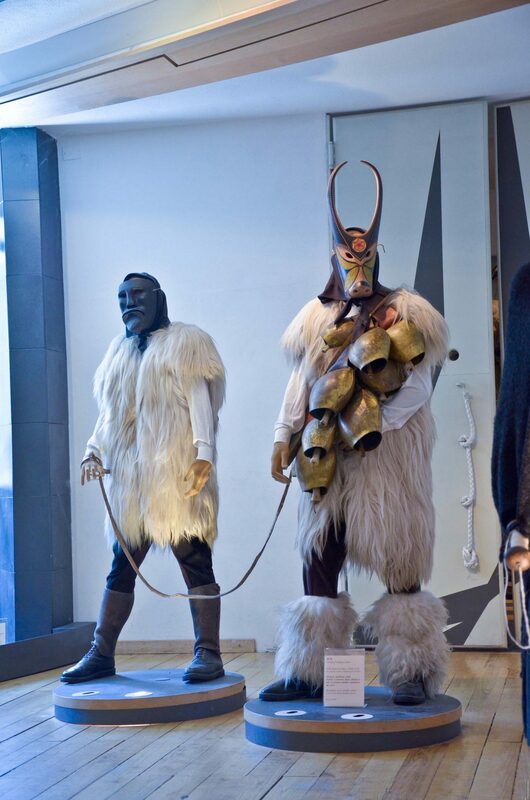 A point of contact between Sardinian traditions and other Mediterranean regions represented by the carnival masks and revealed in a unique place of culture, the only one of its kind. The Museum of Mediterranean Masks in Mamoiada, a village in the Nuoro area in the centre of the island, famous throughout the world for Mamuthones and Issohadores (traditional carnival masks), focuses on the common origin of the island's rituals, particularly those in the Barbagia area and those typical of other civilizations from more or less nearby lands, bathed by the same sea. 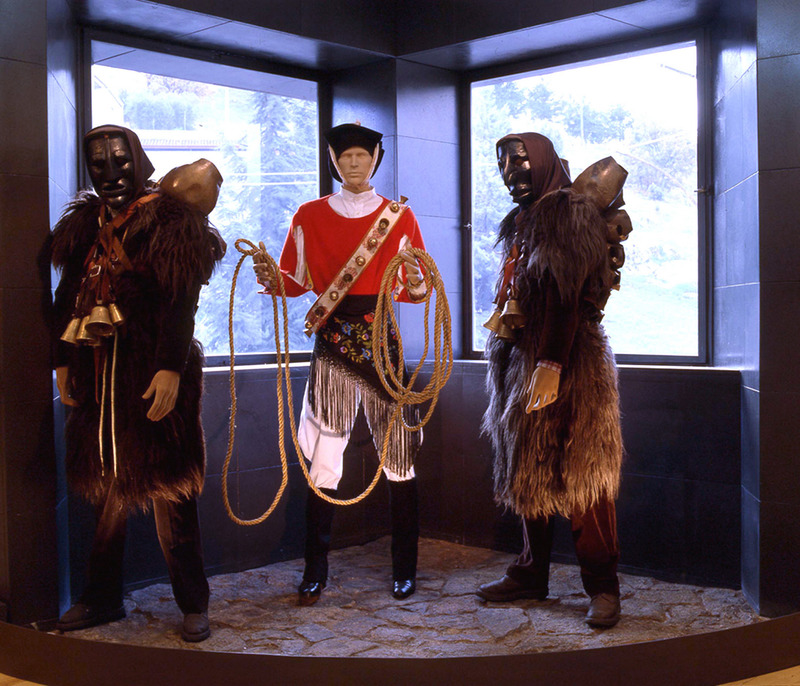 The museum focuses on the widespread use of wooden masks worn on the face, with animal and grotesque forms, as well as sheepskin and ram's skin, cowbells and other objects that make deafening sounds. In the rural and pastoral community, these costumes were thought to have influence over the fate of the agricultural year: despite their frightful appearance, their long-awaited visit was welcome and was seen as a chance to make them propitious, by offering them food and wine. 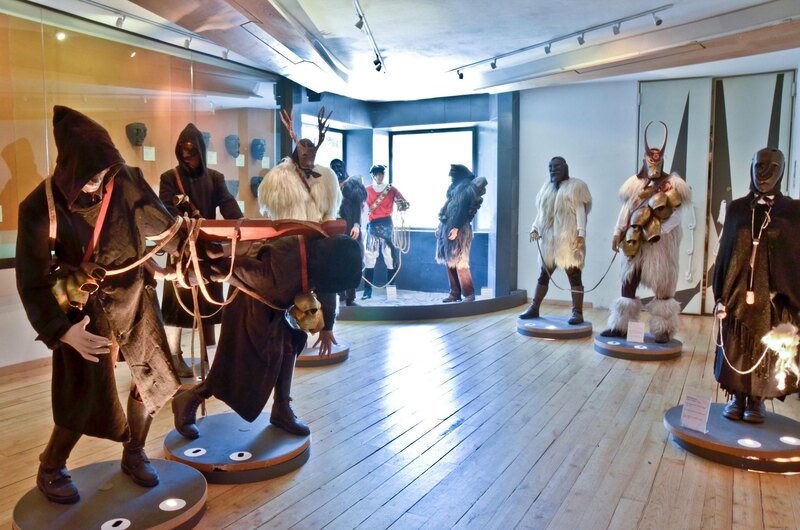 The museum will allow you to gain deeper knowledge of the local identity, starting with the local Mamuthones and Issohadores masks, and compare their affinity and similarity with artefacts from the different countries of the Mediterranean. Your visit will begin with images, texts and sounds, which recount interpretations offered regarding the origin of the Mamuthones. The pièce de resistance is the most ancient mask of Mamuthone, possibly dating back to the first few years of the nineteenth century. The Barbagia Carnival room will introduce you to a series of masks from central Sardinia: Boes, Merdules and Filonzana from Ottana and Thurpos from Orotelli. The third space, the Mediterranean room, is dedicated to carnivals in the Alps and the Iberian and Balkan peninsulas: you will discover affinities with the Sardinian ones. Once your cultural experience in Mamoiada has ended with a visit to the house-museum, thanks to the museum guides, you can take trips to artisan workshops, nearby archaeological sites, to the Supramonte area and to the murals of Orgosolo. You will visit a place in which the cultural universe of a small village with a strong identity in the heart of Sardinia meets the other Mediterranean regions with similar traditions.